Win a trip to London and witness history as your Carolina Panthers play internationally for the first time in the fall of 2019! The Baxter Team is excited to announce that we will be sending a lucky couple on the trip of a lifetime this fall to see the Carolina Panthers play internationally for the first time in London. In order to qualify for an entry into the contest, a client must use The Baxter Team (Reid Baxter, Alexandria Baxter, Samantha Borte, or Jerry Botelho) as their real estate agent and meet the criteria outlined below for one (1) of the following three (3) options for a Qualifying Transaction(s). 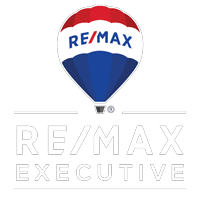 One (1) real estate transaction in the Charlotte Metro Area, combined with one (1) referral fee paid to RE/MAX Executive. For complete contest rules and regulations contact us today!